· As on 31st January, 2016, 510 sugar mills which started crushing operations have produced 142.53 lac tons of sugar, 6.23 lac tons i.e. 4.57 % higher as compared to 517 sugar mills which produced 136.30 lac tons of sugar in 2014-15 SS till 31st January, 2015. · 13 sugar mills in Maharashtra and 1 sugar mill each in Karnataka and Uttar Pradesh have closed their crushing operations for the season. 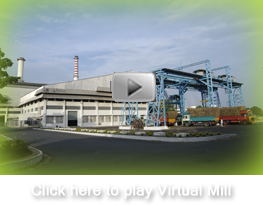 · 116 sugar mills in U.P. have produced 36.15 lac tons of sugar till 31st January, 2016, as compared to 33.75 lac tons produced by 117 sugar mills as on 31st January, 2015. · In Maharashtra, 177 sugar mills operated during the current 2015-16 SS, of which 13 sugar mills have closed their crushing operations by 31st January 2016. Sugar production during the current season upto 31st January was 54.42 lac tons, as compared to 54.37 lac tons produced in 2014-15 SS till 31st January 2015. As on date, 164 sugar mills are under operation in the State as compared to 176 mills operated last year on corresponding date. · In case of Karnataka, 64 sugar mills have produced 26.89 lac tons of sugar in 2015-16 SS (one sugar mill has stopped crushing as on 31st Jan. 2016), as compared to 23.13 lac tons produced by 63 sugar mills in 2014-15 SS as on 31st January, 2015. · In case of Tamil Nadu, as compared to 39 sugar mills which operated in the State in 2014-15 SS as on 31st January 2015, 37 sugar mills are in operation during the current 2015-16 SS as on 31st Jan. 2016. These mills have produced 2.30 lac tons of sugar as compared to 2.11 lac tons produced in 2014-15 SS. · Gujarat has produced 6.90 lac tons of sugar till 31st January 2016 with 20 sugar mills in operation. Last year, 19 sugar mills were in operation on 31st January 2015 and they had produced 6.19 lac tons of sugar. · In Andhra Pradesh and Telangana, 26 sugar mills have produced 4.26 lac tons as on 31st January 2016, as compared to 4.92 lac tons produced by 31 sugar mills on the corresponding date last season. · In Bihar, Uttarakhand, Punjab, Haryana and Madhya Pradesh & Chhattisgarh, sugar production till 31st January 2016 is in the order of 3.05 lac tons, 1.43 lac tons, 2.60 lac tons, 2.40 lac tons and 1.90 lac tons, respectively. · During 2015-16 SS, sugar production is estimated to be about 260 lac tons, which is sufficient to meet the domestic requirement.